Battery/USB Portable Desk Fan comes in your choice black or white. Fan uses 4 AA batteries or can be plugged into a USB outlet. Can be used quietly on your computer, labtop or any power USB port. 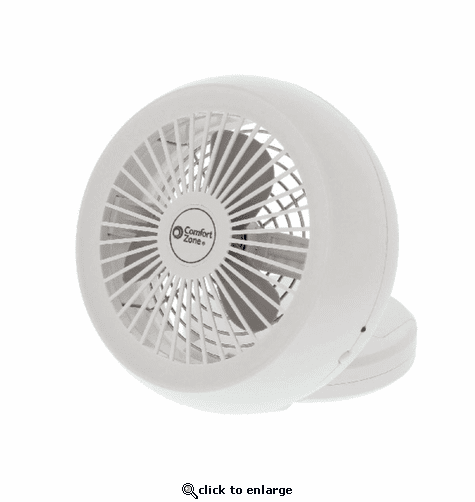 Easily adjust the fan direction where you want it. Folds flat for storage or transport.